AVAILABLE FOR IMMEDIATE MOVE IN! Stunning custom designed courtyard home in desirable North Naples! Three bedrooms, two and one half bathrooms in the main house. One bedroom, one bathroom guest house with large walk-in closet attached. Two car garage. Gorgeous custom pool. Main floor has open concept; great for entertaining. The kitchen has high end appliances, large island, plenty of cabinets and counter space. Behind the kitchen is a formal dining room. The second floor holds two bathrooms connected with a Jack-and-Jill bathroom, the master suite with large bathroom and large custom shelved closet. There is also a lovely nook area, perfect for a child's play room or office. The courtyard brings everything together with a stunning pool, paver deck, and built-in grill with mini-fridge. This home is truly one of a kind. Perfect for a growing family! New photos to come once the owner is completely move out (mid-Sept). 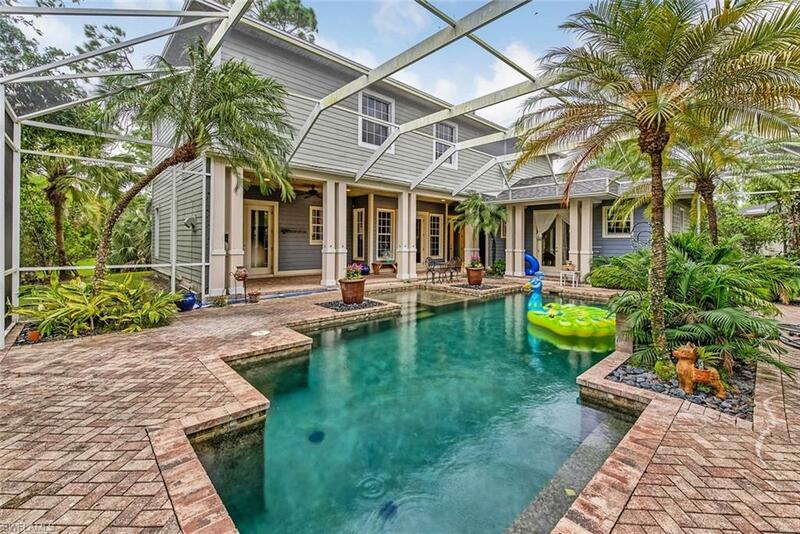 Disclosure: The information is being provided by Southwest Florida Multiple Listing Service. Information deemed reliable but not guaranteed. Information is provided for consumers' personal, non-commercial use, and may not be used for any purpose other than the identification of potential properties for purchase or rent. Copyright 2017 Southwest Florida Multiple Listing Service. All Rights Reserved.